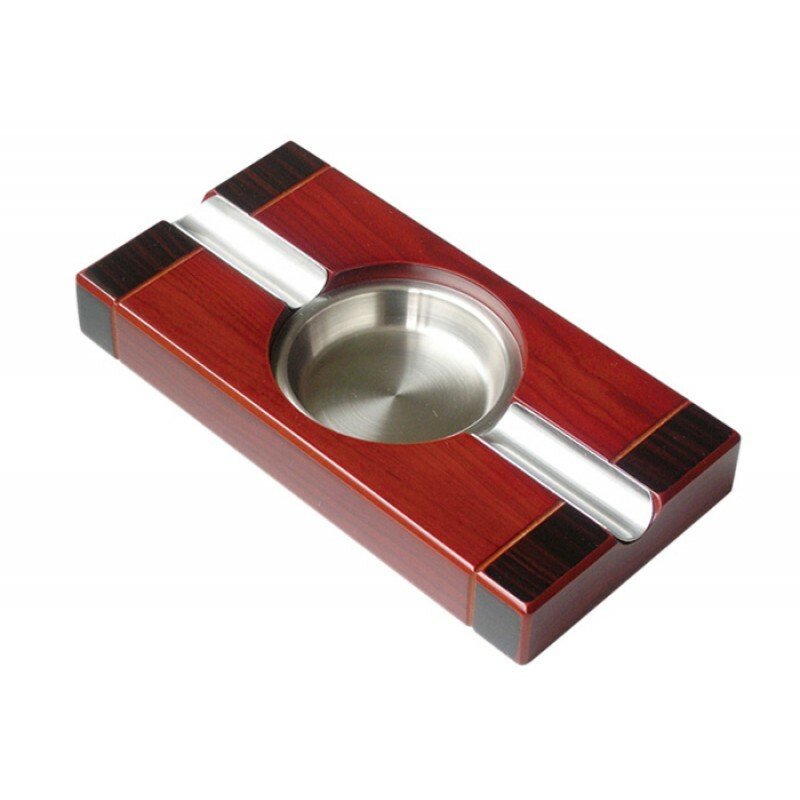 This interesting two-tone high gloss cherry cigar ash tray includes a stainless steel ash reservoir and two cigar beds at an unbelievable price. 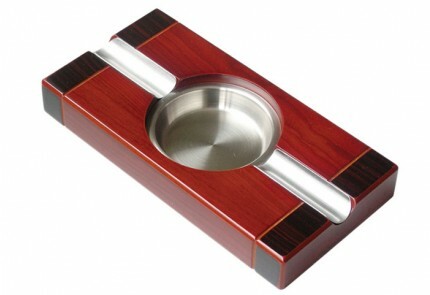 Each of these cigar ash trays are felt lined so they protect your furniture. A fantastic look for the avid cigar aficionado.